Jeff Van Arsdale is not your average P.E and Heath teacher. TUCSON, Ariz. - Jeff Van Arsdale is not your average P.E and Heath teacher. He's serious about motivating students to move. He's serious enough to form a SWAT team -- student wellness advocacy team. "I want to push them outside of what their limitations or boundaries are," he said. Van Arsdale teaches the latest first aid and CPR techniques, in addition to physical fitness and healthy eating. The team is now 100 members strong. 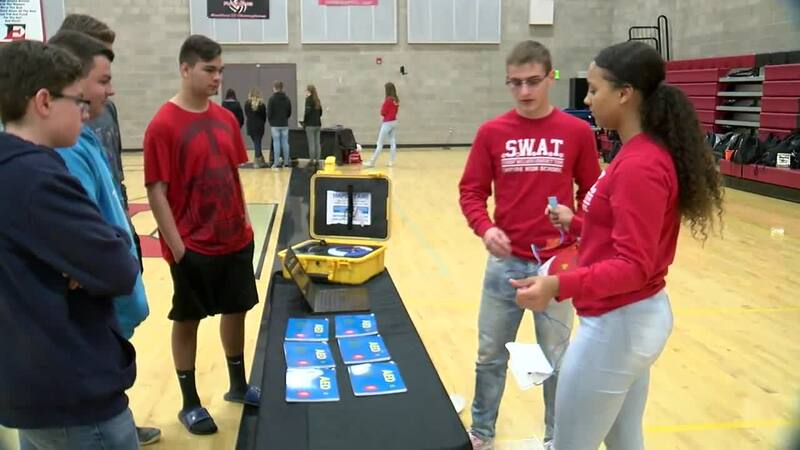 "Even at the high school level you realize kids are basically missing some of this health and wellness information that is so applicable to their life," he said. And in his 8 years at Empire, he's built up an arsenal of techniques to help motivate his students. "And let them know it's okay to fail sometimes," he said. "It's okay to make mistakes sometimes. We can grow from those failures, those mistakes."